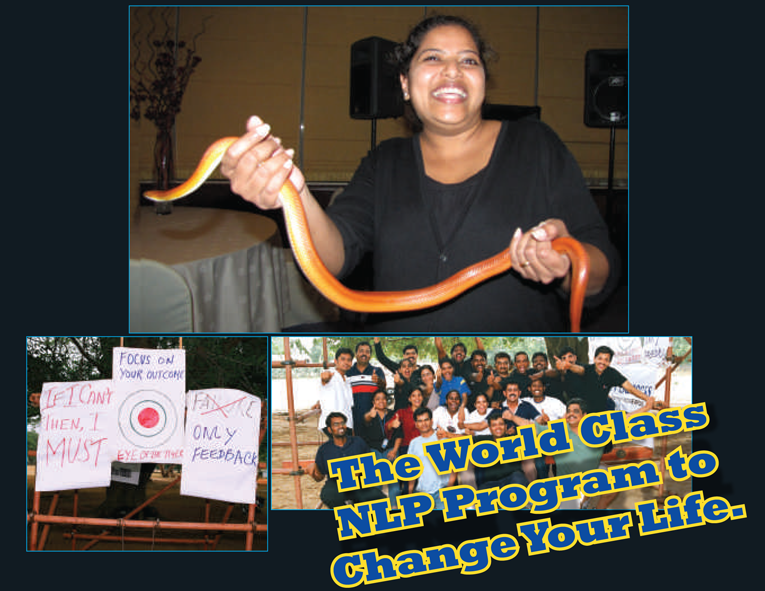 The World Class NLP Program to Change Your Life. 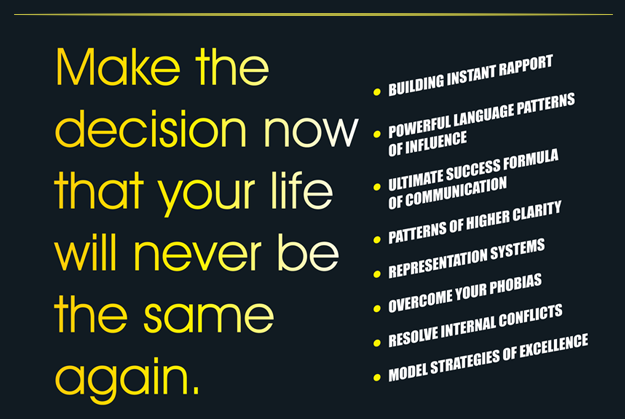 What will you learn from Influence & Mastery? 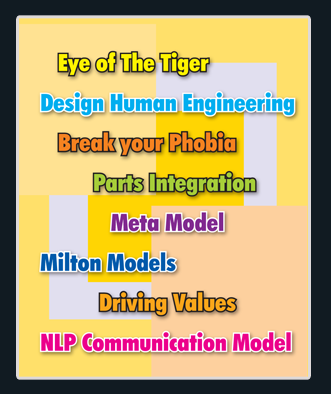 Learn and master the most powerful techniques in NLP that will help you to make changes in the life of others. influence people to think in your way. As managers or leaders you’ll be able to lead your team and keep them motivated at all times. Shift people’s mindsets and inspire people around you. Creating Rapport with the people is the 1st step towards making a change in them. You will be able to connect to other people, instantly with ease. Even the most resistant people will succumb to you and your skills.